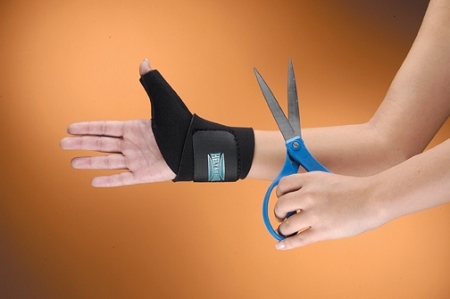 The Trimable Thumb orthosis is a universal thumb splint for any size hand, right and left. Its wrap around design is easy to apply and wear. 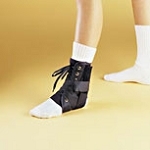 Neoprene also provides heat and compression to help support and heal. 1/8” Nylon covered neoprene provides heat and compression. Wrap around design with built in assist strap for ease of application. Fits both the right and left hand. Taped seam on thumb can be trimmed at the IP joint.